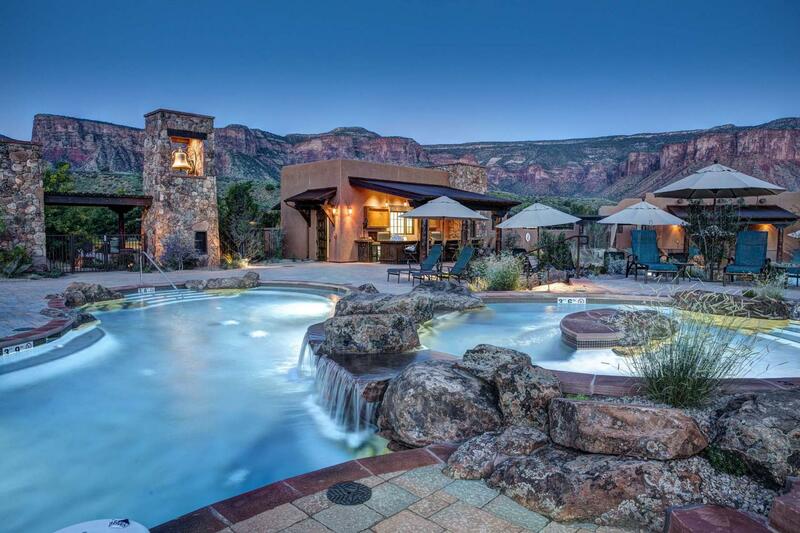 The resort has 60 units all with fireplaces, secluded patios, and personal hot tubs. The living spaces surround a beautiful pool area which accents a cascading waterfall. The Gateway Resort Project Includes over 70 buildings with two hotels, a spa, an observatory, sixty resort villas, an employee dorm, employee apartments, several employee single family houses, an outdoor auditorium, an outdoor recreation school, and a large retail complex. Included on the property is the Palisade Academy, the Mission Bell Amphitheatre, the Palisade Shopping Center, and the observatory.